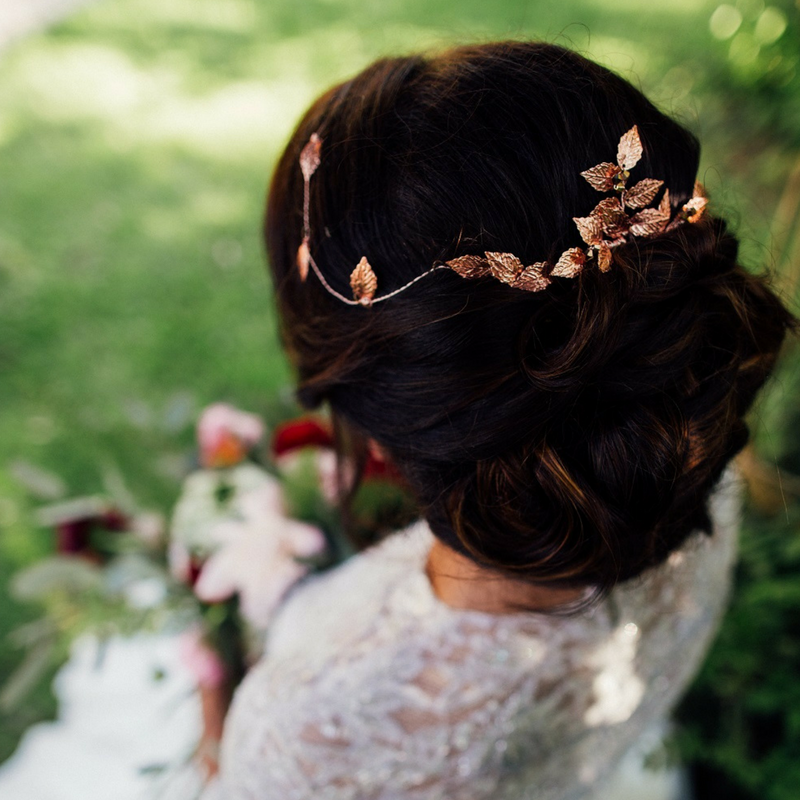 This delicate hair vine is crafted from twisted metal wire and embellished with intricately cut rose gold, silver or gold plated leaves. 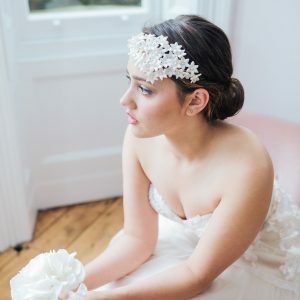 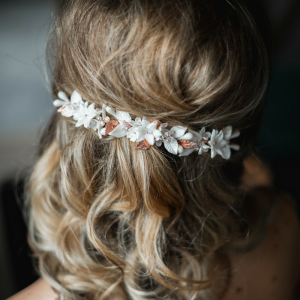 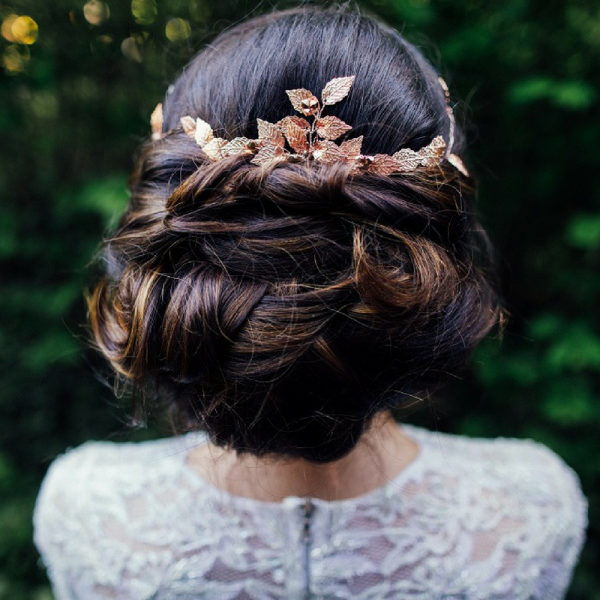 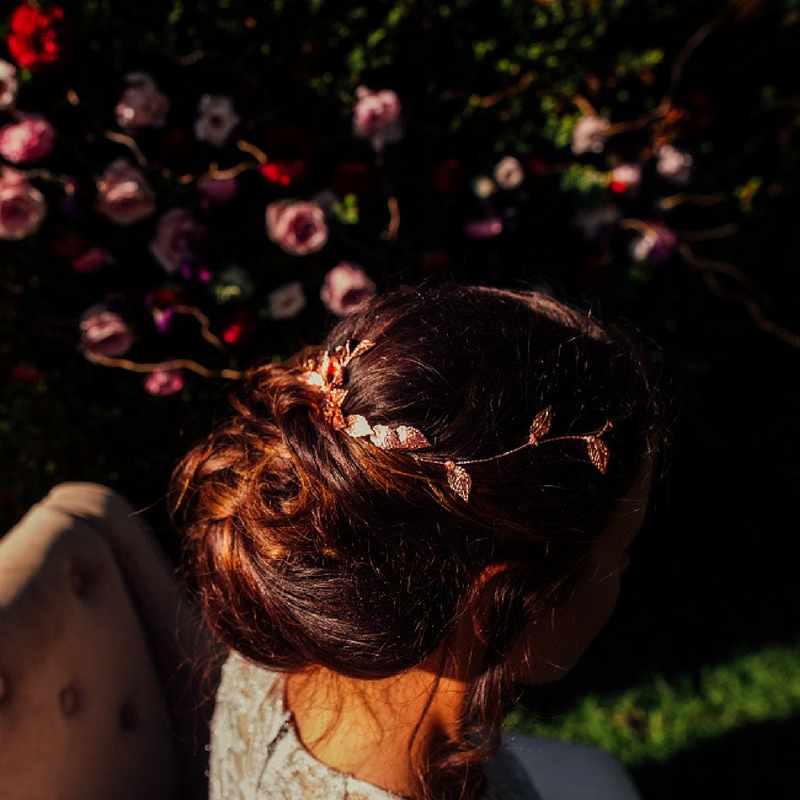 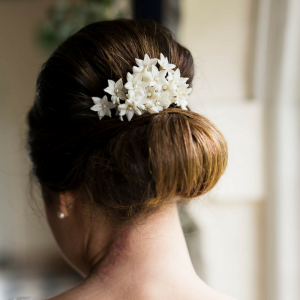 The vine’s softness and flexibility allows the beautiful accessory to be worn in a variety of ways and moulded to your hair style, whilst a trio of pins means the accessory can be safely and securely held in place from morning until late at night. 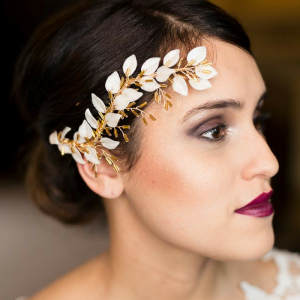 Materials: Swarovski Crystals, metal hair pins, silver, gold or rose gold plated metal and wire.